Dec-Jan Rotations: Core Mkt = Gold, Featured Mkt = Asset class Portfolio. 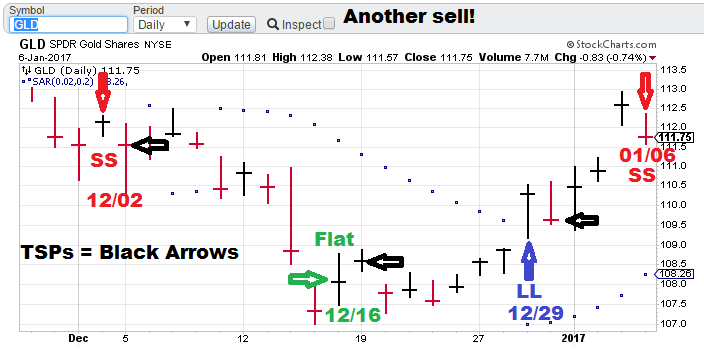 Signals: Gld = Sell 01/06 (TSP= 112.67), AC Portfolio= bought 12/29, Sea-Change status= Reconfirm. 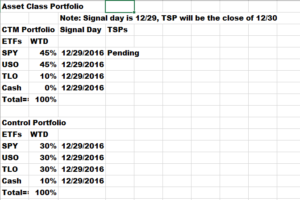 Signals: Gld = Sell 01/06 (TSP= Waiting), AC Portfolio= bought 12/29, Sea-Change status= Reconfirm. 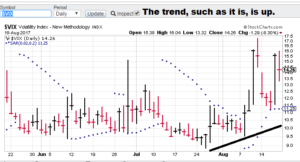 Model notes: Gold model issued a sell, and this looks to reverse a profitable long signal (on a swing-trade type of time frame. 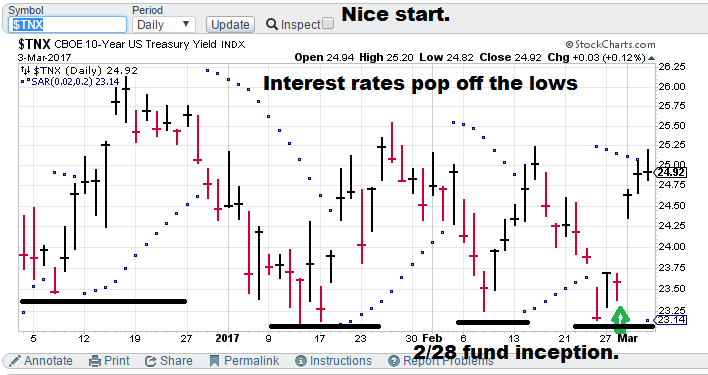 The asset class ranking portfolio is rumbling along, positive but a little behind the control portfolio, thanks to this week’s bond rally. 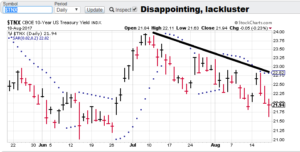 We expect bonds to sell off soon. Gold Trading Signals (Core). 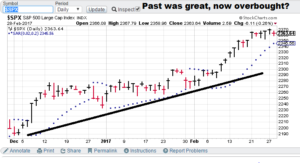 The models are now indicating the bull bounce is over. 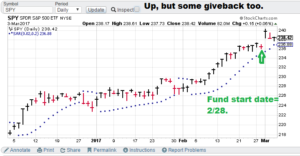 We have a “short” signal after the 12/29 “buy,” and it looks to be a positive trade (we must wait for the TSP to be sure). With an environment of increasing rates and a solid currency, the backdrop for a sustained upward move for gold does not seem likely. So far, so good. Asset Class Portfolio (Featured). 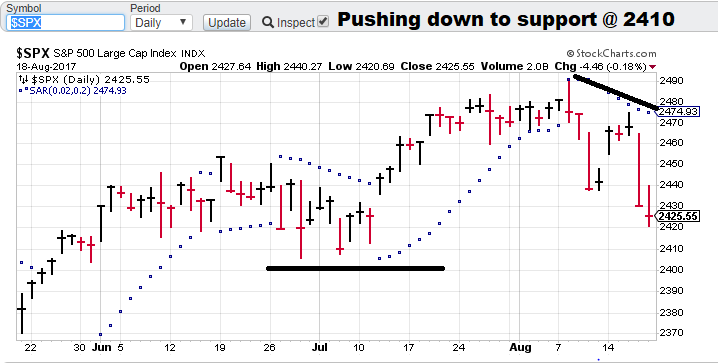 The rebalance point proved good (near the two-week lows on the SPY) and thus the portfolio is positive. 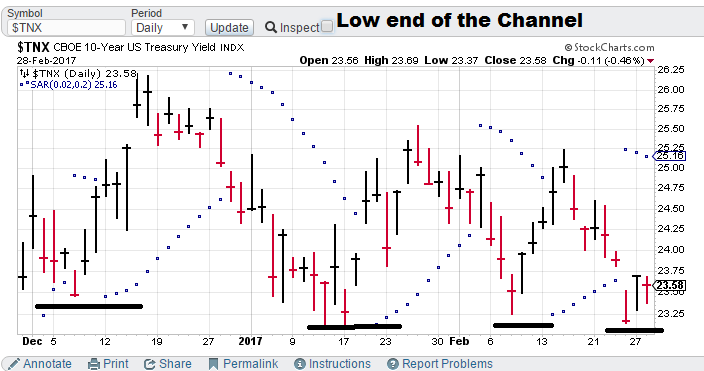 However, the recent rally of the bond market has us underperforming the control portfolio by a modest 6 basis points (for about a week). 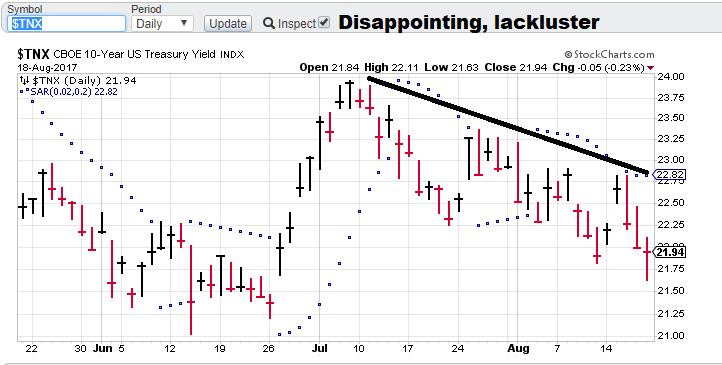 We do not expect bond rally to go much further. 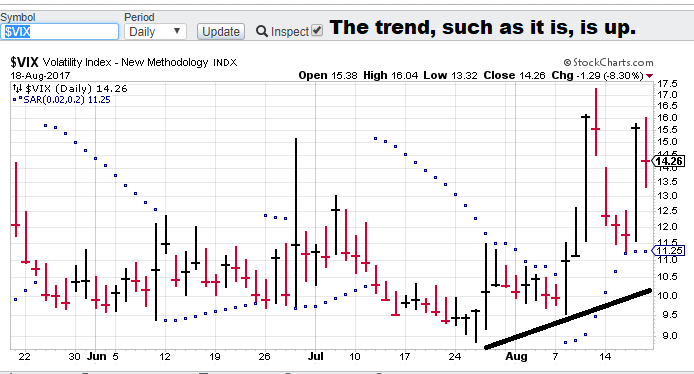 The portfolio asset classes are: SPY (stocks), TLO (bonds) and USO (energy). 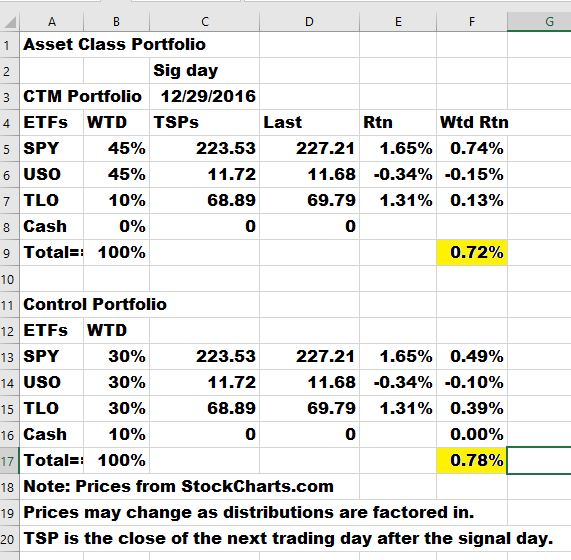 We are displaying the CTM portfolio as well as a control (balanced) portfolio for comparison. Model notes: We are releasing (first time ever) the sample asset class ranking portfolio. 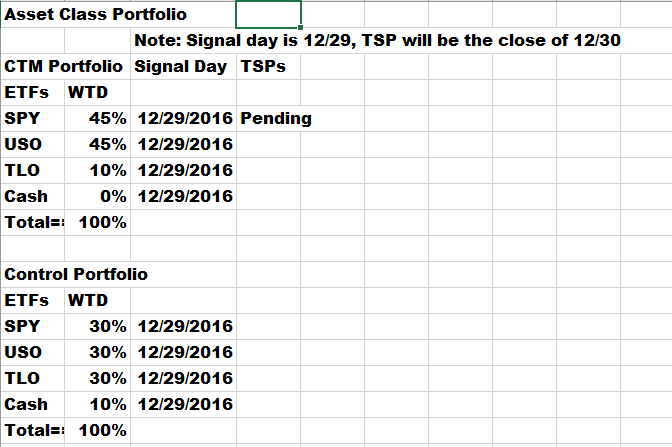 The signal day is 12/29 and the TSP will be the close of 12/20. Since this is a sample of the premium product, we are excited and looking for forward to the performance numbers in January. 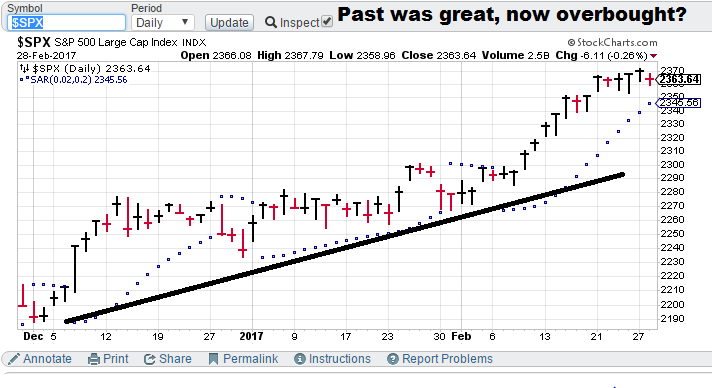 Remember if the models dictate, we could have a rebalance between now and Jan 31 (the last trading day in January). The gold model also registered a buy. 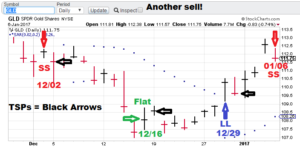 The exit to flat signal on gold proved a good signal but now the models are calling a “buy” indicating some type of bottom is now in. Gold Trading Signals (Core). 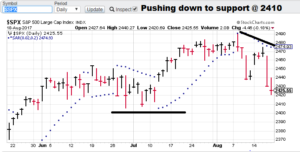 The selloff after the Dec 2 “sell” signal and the later “flat” signal (Dec 16) worked well for us. The models are now signaling a “buy” and the clear inference is the recent bottom at 107.50 (GLD basis) is going to be significant. Asset Class Portfolio (Featured). 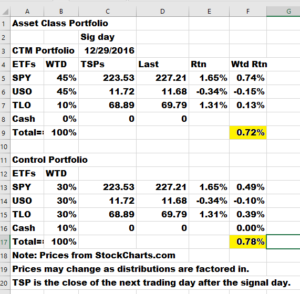 We are posting the buy-in of the CTM sample asset class portfolio ranking. (Do I hear the faint, “It’s about time!”) I wanted to get a reconfirmation before hitting the button and we now have it. 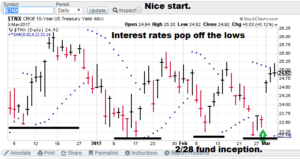 The rankings indicate the continuation of the Trump-trade (stocks heading up and bonds on the defensive). 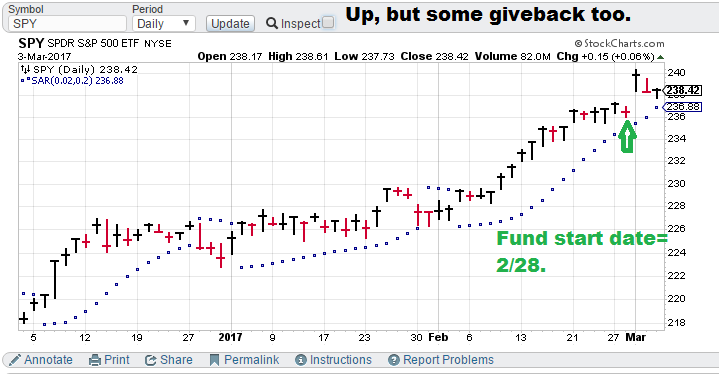 What about the Dec 28 selloff? The models are not seeing this as a game changer yet. 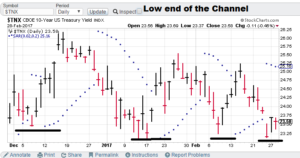 I have listed three asset classes: SPY (stocks), TLO (bonds) and USO (energy) as well as a control (balanced) portfolio for comparison.